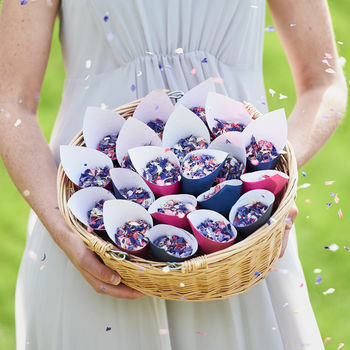 We want to change the world with natural petal confetti! 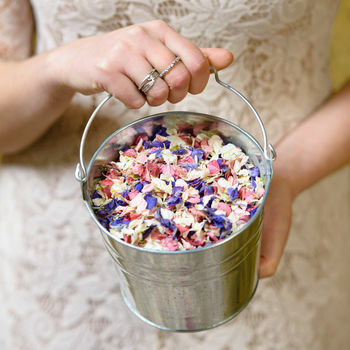 We grow biodegradable natural petal confetti, wheat sheaves and dried flowers all handpicked from our Shropshire farm. 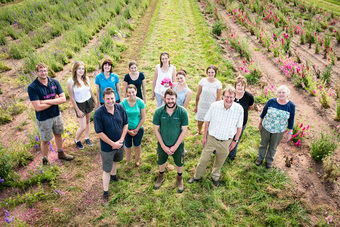 Every summer we set to the fields cropping the land for only the most perfect petals ready for your wedding day, carefully drying and packing ready for shipping to weddings and occasions up and down the country. In the early days Daisy Bubb used to dry flowers using her kitchen aga and sell them at WI markets, she just couldn't grow them fast enough! 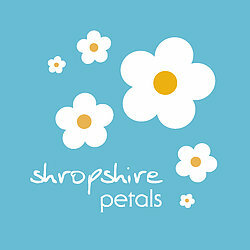 Nowadays Daisy's grandchildren Jim and John are at the helm of the family farm and in 2005 Shropshire Petals was born! 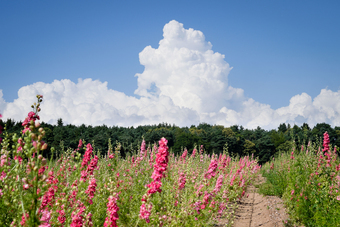 All of our products are 100% natural, biodegradable and eco-friendly. 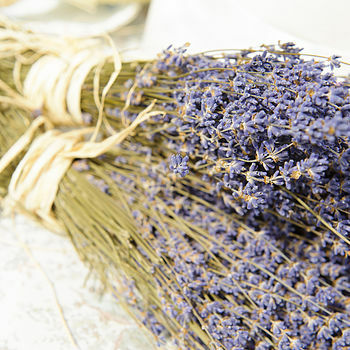 They are all completely natural in colour and no dyes are ever added, everything is true to nature. 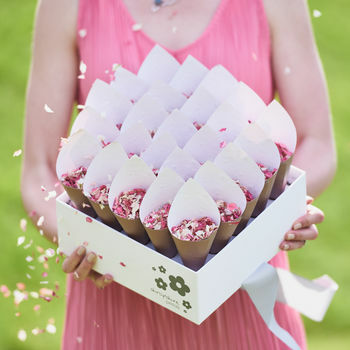 "Fantastic products, well put together, and beautifully presented." "It is really lovely colour is perfect and just what I wanted arrived well packaged too. Many thanks"
"It is exactly if not better than they looked on the website"
"informative sellers, quick response, nice and well packed products"
Some of our products are more bespoke and made to order like the wheat arrangements which take a bit of time to get 'just perfect' so we may take up to 5 days to dispatch but in most cases we aim to dispatch within 48hours. We will always let you know via email if there is a delay. 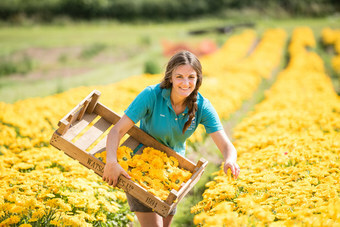 Due to customs regulations we cannot dispatch wheat arrangements, baskets or calendula outside of Europe, we will always let you know via email if there is anything that could affect your delivery. 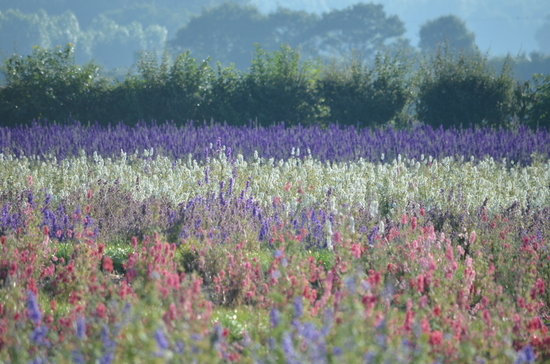 The majority of our products are handmade or made to order, they are a bespoke natural product and are therefore subject to a natural variation in both colour and size.